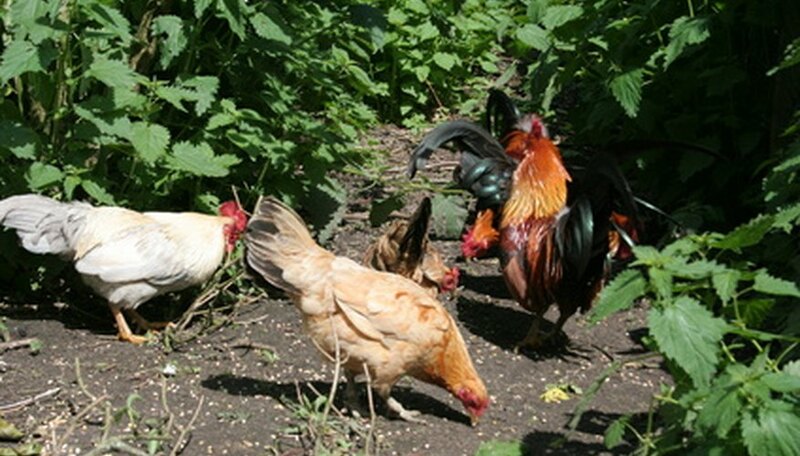 Chickens and vegetable gardens go together like a horse and carriage. That doesn't rhyme, but chickens and vegetable gardens have been a pair for longer than historians have been recording the process. Managed correctly, this is a perfect example of a win-win-win situation, a way to make vegetable gardening easier, your chickens more productive and you a happier farmer. For most of the gardening season, chickens provide a constant source of litter and manure for the garden, a ready-made compost that deposits itself in place with no work by the farmer. They also turn the soil over, cultivating it in their search for garden pests, weed seeds and anything foreign that might try to grow where you don't want it. A "cooped up" chicken is considered lucky to have 4 square feet of space and a diet of laying mash, grains, and garden and kitchen scraps. 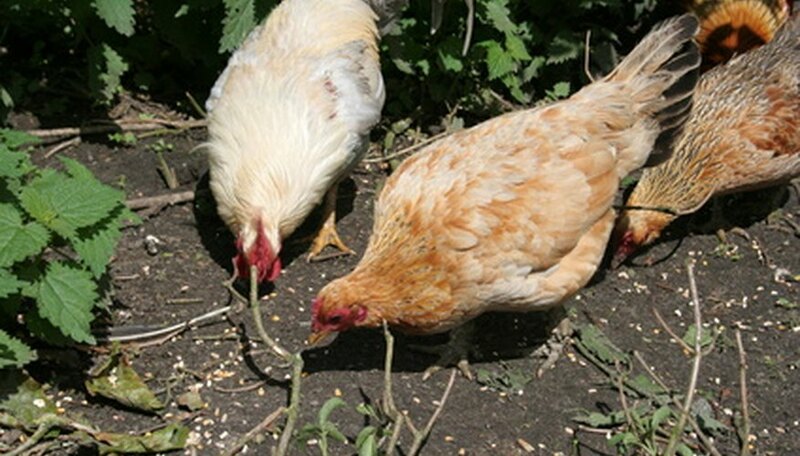 Being able to forage freely means a constant source of all the things a chicken eats naturally: plants and seeds, gravel, and a steady supply of all the various pests that invade your garden--from tomato worms to any bug you can think of. It's a much better diet and way of life. The farmer is spared much of the laborious regular cleaning out and hauling of waste from a chicken coop. The chickens still need nest boxes and a safe place at night, but that is much easier than cleaning a full-time coop. The chickens stay healthier, with access to all the varied food, exercise and space that keep them that way. The chickens and the eggs have much more flavor than they would in a coop environment. You must decide just how much free range you want your chickens to have, then make sure they can't go beyond those boundaries. 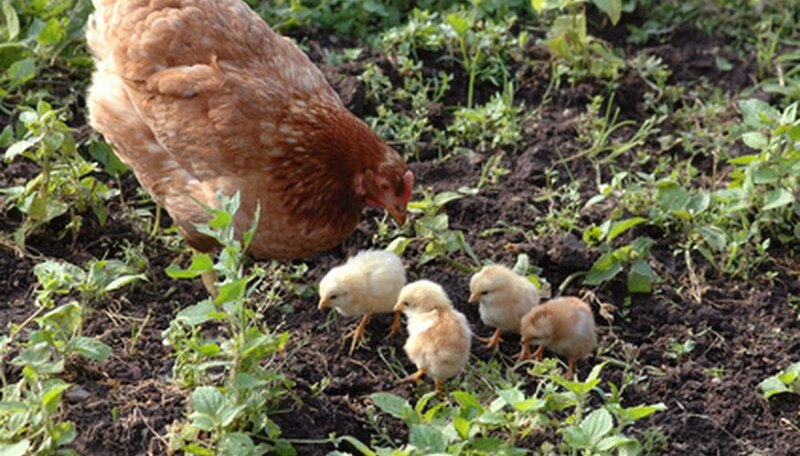 Chickens will destroy vegetable seedlings and forage on newly planted seeds. 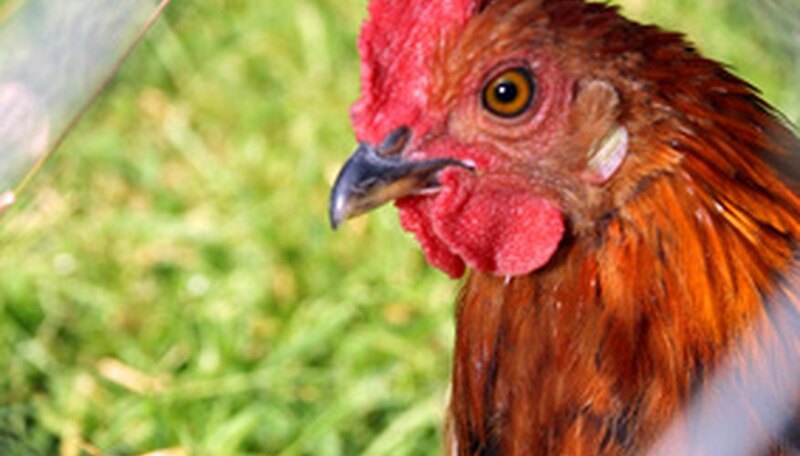 Free-range chickens are vulnerable to predators and must be rounded up at night in order to protect them. Free-range chickens can make finding eggs a more difficult task. Unconfined chickens may end up fertilizing and cultivating garden areas you didn't want "improved." A chicken moat is a compromise between having free-ranging chickens and protecting your garden from them. The 6 to 8 foot wide barrier surrounds the perimeter of your garden, completely enclosing it from the outside and containing your chickens. The chickens make sure bugs and slugs don't get through. You open your garden to the chickens when you want to, allowing them to search for tomato worms and other airborne pests. When you're ready, rake the moat and add the refuse to your compost pile. A chicken tractor is a one-piece coop and yard on wheels; you move it from one location to the next as often you desire, even daily. This gives the chickens an ever-changing piece of ground to work on, but keeps them contained. The tractor area is as large or small as you make it; having it lightweight and on wheels makes it easily portable. Move the tractor and plant a nitrogen-loving cover crop in the fall, and till the spot into a perfect garden bed the next spring.